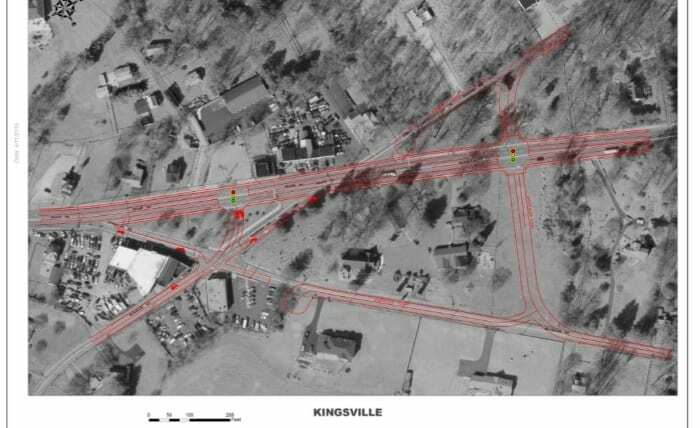 A meeting will be held this week to discuss one of Kingsville’s busiest intersections. 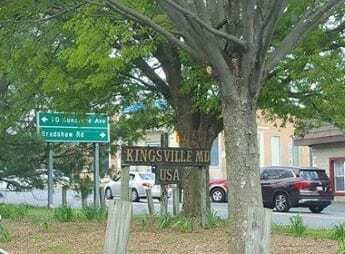 The Greater Kingsville Civic Association will hold a meeting on Wednesday, April 19, at 7:30 p.m. to discuss a possible major transportation project in the heart of Kingsville. Councilman David Marks announced that the meeting will be held at St. Paul’s Lutheran Church on Jerusalem Road. Traffic back-ups have long been a concern in the vicinity of Sunshine Avenue and Belair, Bradshaw, and Jerusalem Roads. The Maryland State Highway Administration has developed a plan that engineers say would address this issue – but the plan involves major changes to this busy intersection. The SHA says delays at this intersection and the adjacent intersections are high for several reasons. Firstly, traffic demand is heavy on the Belair Road approaches. Secondly, Sunshine Avenue and Bradshaw Road each have their own separate traffic signal phase. The proposed concept involves relocating Sunshine Avenue about 400 feet northeast of the Route 1 at Sunshine Avenue and Bradshaw Road intersection. This concept also proposed relocating Jerusalem Road to connect with Belair Road opposite of Sunshine Avenue, forming a 4-legged intersection. The existing Jerusalem Road would be closed south of this new intersection and Bradshaw Road would be realigned. Just north of Jerusalem Road at Belair Road, the existing Bradshaw Road will be utilized as a channelized right turn onto northbound US 1. With this proposed new concept, existing traffic would be better distributed, and delays are anticipated to be shorter at both intersections. The preliminary cost for this project is estimated to be $3,390,000, excluding right-of-way costs. At this time, there are several issues that need further research before a more accurate cost estimate can be developed. The relocation of Sunshine Avenue is expected to disrupt some utilities but, depending on right-of-way costs, the vacant parcel to the northeast could be used to design the relocation of Sunshine Avenue. The addition of the left turn lane on northbound US 1 at Sunshine Avenue is expected to encroach upon some properties in the northwest corner of the intersection, but the SHA anticipates no impacts to the existing cemetery. Some existing retaining walls on the west side of US 1 north of the relocated Sunshine Avenue intersection may be impacted by the widening of US 1. The retaining walls may be considered historic and additional investigation is needed. The realignment of Bradshaw Road is expected to impact the park, or triangular area, located in the southwest corner of the intersection. These concerns may be offset by the closure of the existing Jerusalem Road east of Bradshaw Road and the designation of a one‐way street west of Bradshaw Road. This proposed project will be discussed at Wednesday’s meeting.